The latest issue of the World Customs Journal (Vol.12 No.2 – September 2018) has been published and is now available to INCU members in the members-only area of the website. 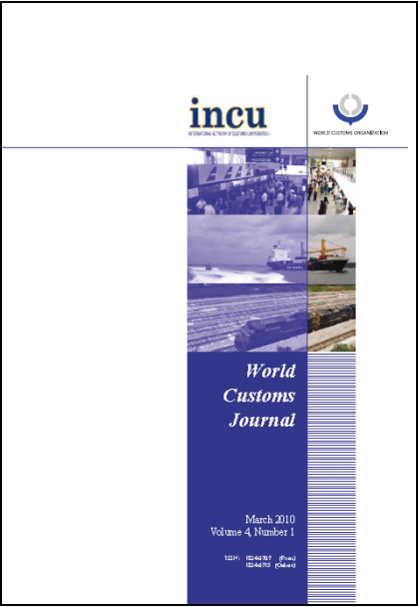 This issue of the World Customs Journal contains papers that address a range of topics such as the cost of customs and borders across the supply chain, advance rulings and binding pre-entry tariff classification, enforcement of intellectual property rights in Iran in the light of TRIPS agreement, effectiveness of a customs operation and its impact on trade, the use of blockchain for trade facilitation, customs supply chain process design, trade and tax evasion in Indonesia, cross-border e-commerce challenges in China, and alcohol taxation in Vietnam. This issue of the journal also has a Special Report on Trump’s ‘zero tolerance’ border policy by Alan Bersin, Nate Bruggeman and Ben Rohrbaugh, which they believe would not help, but only hurt security. For more information, please see Table of Contents and Editorial on the journal’s website.